Reprint. Originally published: London: Martin Secker & Warburg, 1945. 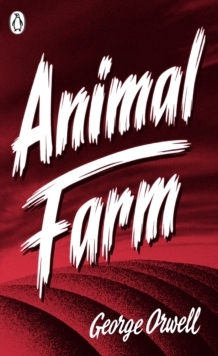 'All animals are equal - but some are more equal than others'When the downtrodden animals of Manor Farm overthrow their master Mr Jones and take over the farm themselves, they imagine it is the beginning of a life of freedom and equality. But gradually a cunning, ruthless elite among them, masterminded by the pigs Napoleon and Snowball, starts to take control. Soon the other animals discover that they are not all as equal as they thought, and find themselves hopelessly ensnared as one form of tyranny is replaced with another. 'It is the history of a revolution that went wrong - and of the excellent excuses that were forthcoming at every step for the perversion of the original doctrine,' wrote Orwell for the first edition of Animal Farm in 1945. Orwell wrote the novel at the end of 1943, but it almost remained unpublished; its savage attack on Stalin, at that time Britain's ally, led to the book being refused by publisher after publisher. Orwell's simple, tragic fable has since become a world-famous classic. This Penguin Modern classics edition includes an introduction by Malcolm Bradbury.